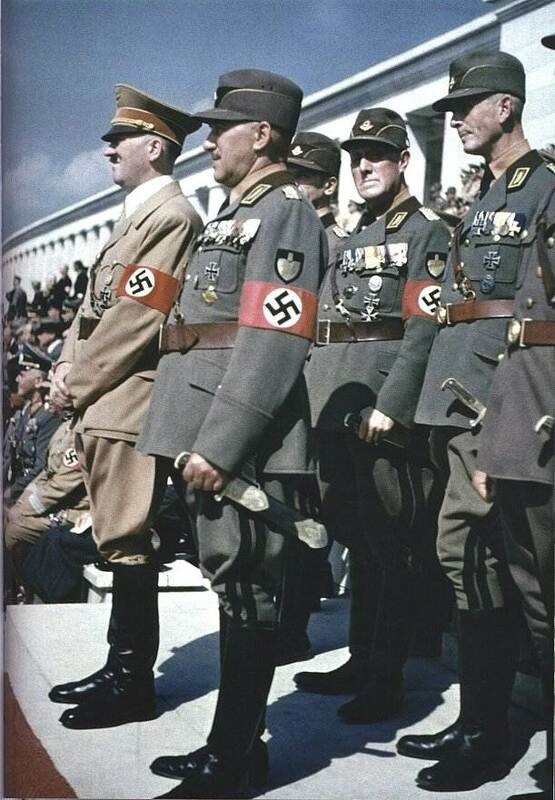 And from one of the party rallies... Hierl to the left, but the others? The one to the right seems to have a Navy WB. 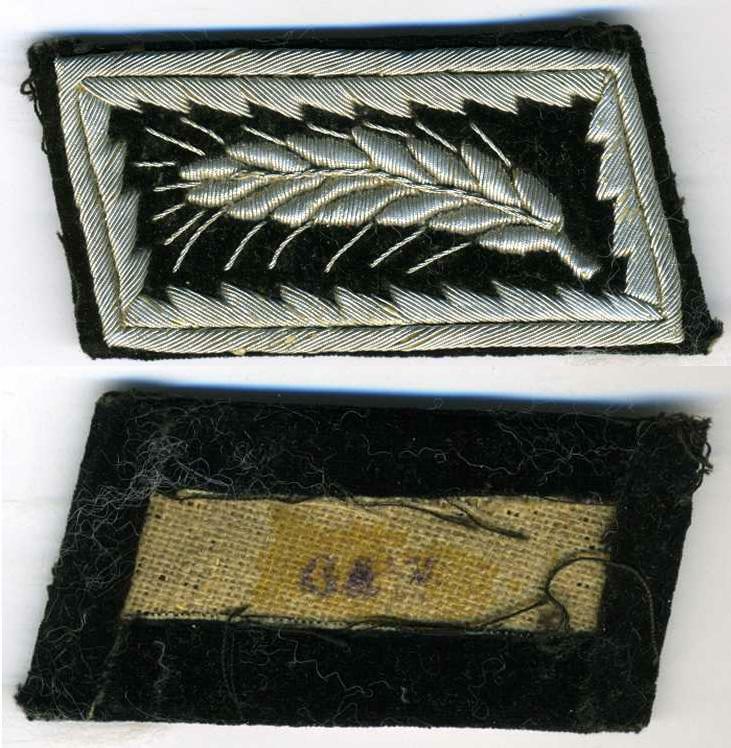 That is also Tholens with the naval wound badge in the first photo, wearing his ?. News to me that he had the SW Africa Medal in steel! 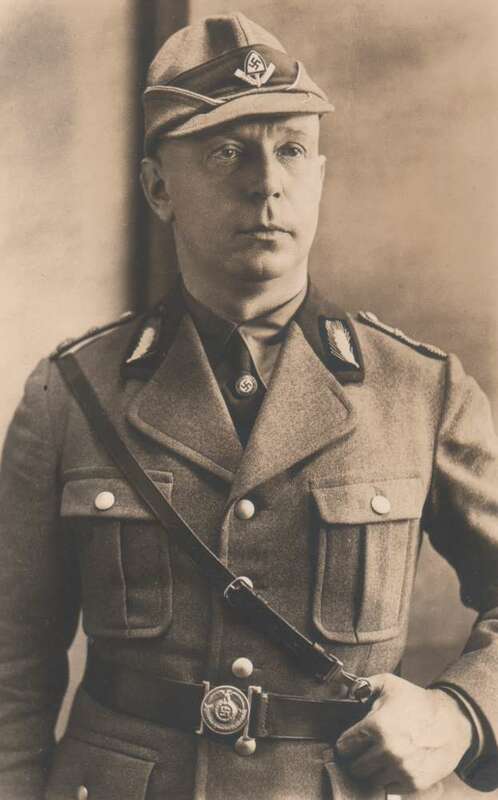 Between him and Hierl, glancing at the photographer is Curt Wilhelm Loeffelholz von Colberg-- identifiable from his Johanniter and the Italian Crown Order-Knight last on his bar. The others are a washed out blur, but it looks like an MK2 and OK2 almost at the end of his bar-- and an OK1. All new, since he's not on ANY of our Rolls! Can you see if there is a Georg K?stner in there? No, K?stner is in neither Vol. 1 nor 2. 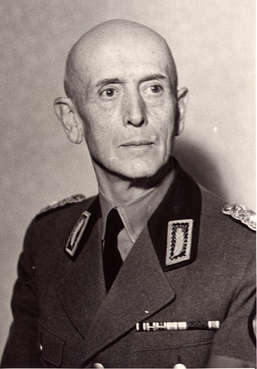 And here is Carl Laur, No. 8 in Your list. Thanks Robert! 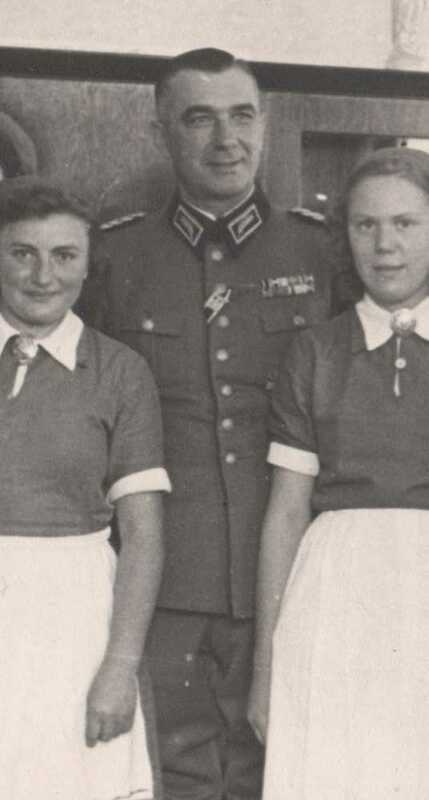 That illustrates very well how difficult it is without a name to identify a person such as this Very Bad Naughty Bavarian cavalry Major aD who is NOT wearing his ribbon bar !!!!!!!!!! No. 16 from the list, Karl Schm?ckle. Got that nice photo yesterday on a fleamarket (as usual). Thanks Robert! Never seen him with his ribbon bars like that before, and this helps date when DOUBLE long service awards (I have never seen RGB authorization for that) were being worn. Chris' and my mutual STILL unidentified RAD Super Hero with the two rows of ribbons MUST be somebody at that level too. I was hoping you might be able to answer a couple questions for me. I have what I assume is just a portion (probably the index) of the list you've found. If/when you have the time could you confirm that for me? Also - you said that the 4 volume Dienstaltersliste you have was never published. Is this a copy you've been able to access at an archive somewhere? ...and if so where? Here are the first 2 pages of the list index I have. I pulled them from microfilm at the National Archives. That's for the SS, not the RAD. I've never seen that edition before. Chris found original copies from his home territory. Amazing what is still uncatalogued in forgotten basements. Thanks Rick. I should've paid closer attention to the title. The Dienstalterslisten portion was what caught my eye. I guess it was just wishful thinking on my part. 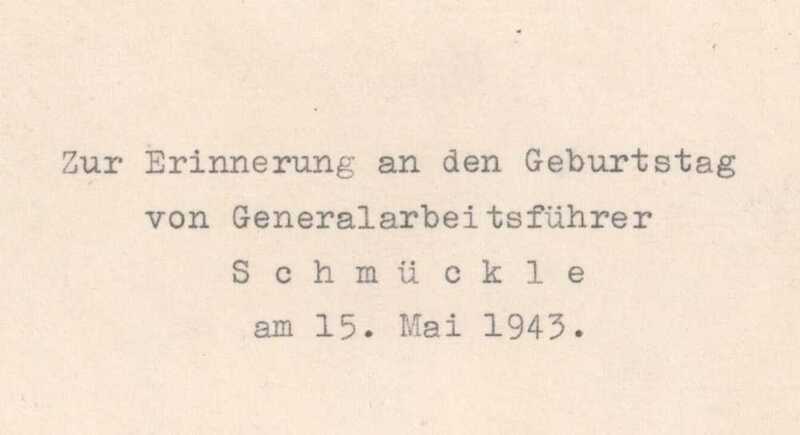 In any event - if anyone does know where I could locate the remainder of this 38/39 SS Officers list I'd be really interested in hearing about it. Looks like it starts with a "K" to me. ?K/B/Ri?o/e/a/sluc?h/k. 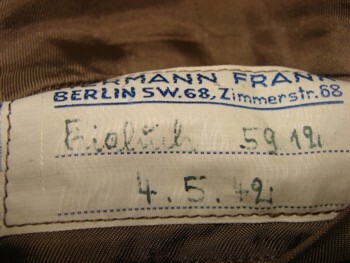 No match from the 1938 (Arbeitsf?hrers up) so he must have been a fresh promotion to that rank, maybe when the tunic was tailored. 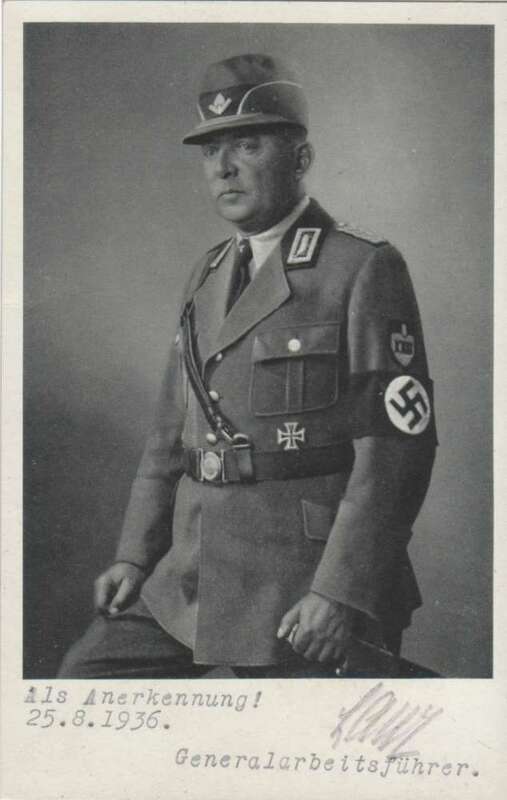 I don't know if anything after/below Arbeitsf?hrers from 1938 has been scanned yet. 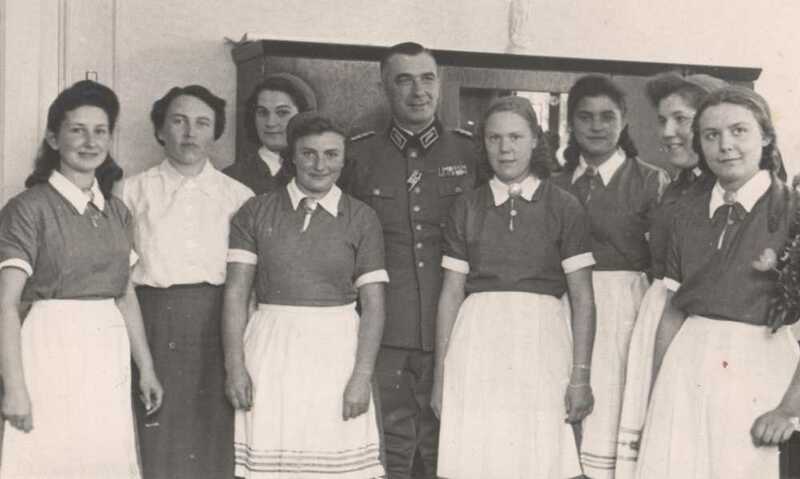 I've just typed out the 1938 down to them, since my interest is "invisible" WW1 survivors and not fresh young Nazi punks. The clear "luc" should be enough to computer "search" on once transcriptions are done. That, of course, is the problem. Sooooooooo much work, so few Research Gnomes. I agree it's probably Kieluch --- but rats! 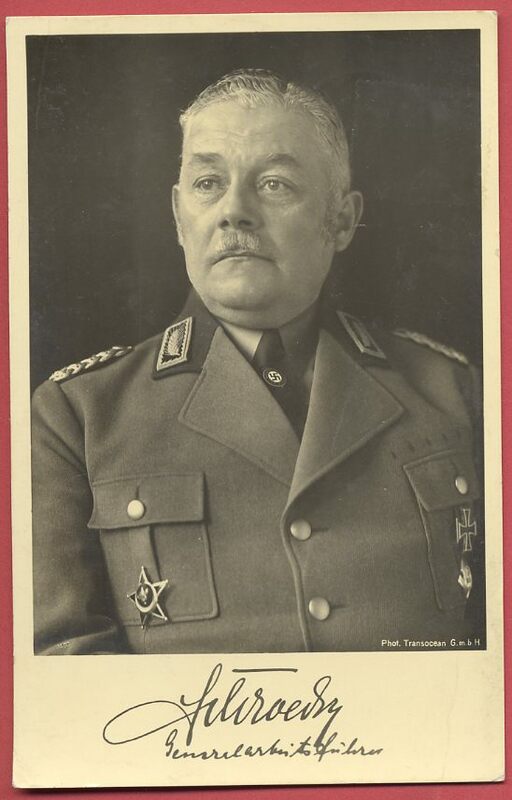 Can't find him among the Arbeitsf?hrer, nor among the Oberstfeldmeister (Hauptmann rank) or the Feldmeister (Leutnant). 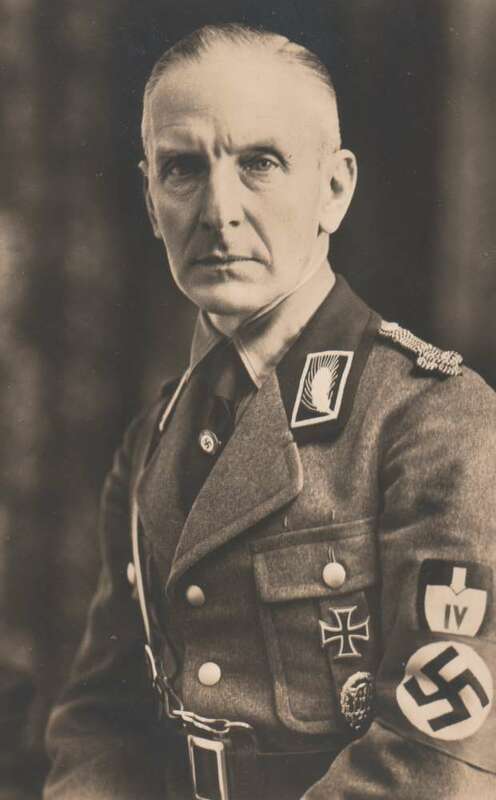 It SEEMS that he might have been an Oberfeldmeister (Oberleutnant rank) in 1938, though that would have been a quick promotion, two ranks up to Arbeitsf?hrer in 4 years. Promotions seemed to have been rather slow in the RAD. thanks for looking guys,ill keep searching! 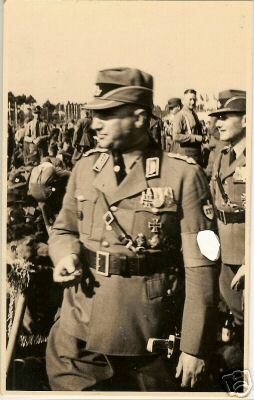 !Rick i might have one for your files,its for Max Hoffer,a WW1 vet, SA man then 8 year RAD man ending as a oberstfeldmeister.i have some documents and research on him,he had a very interesting carreer IMHO.ill send you what i have on him if you are interested. A few more, out of an album I got today. No names on the photos. 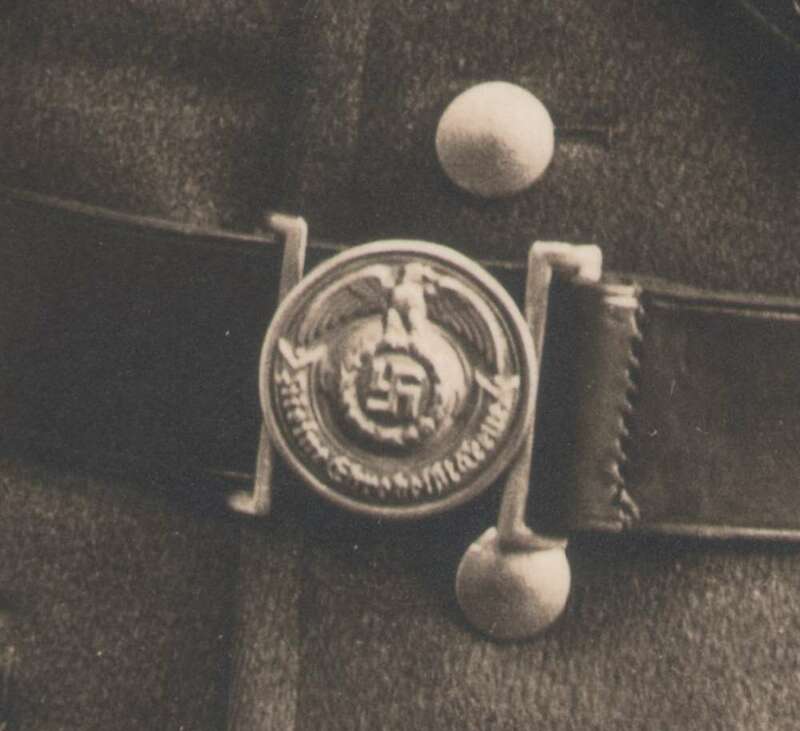 That may be Walter Bethmann on staff of Arbeitsgau IV, but the wretched man has left off what would clearly have been an interesting and informative ribbon bar. 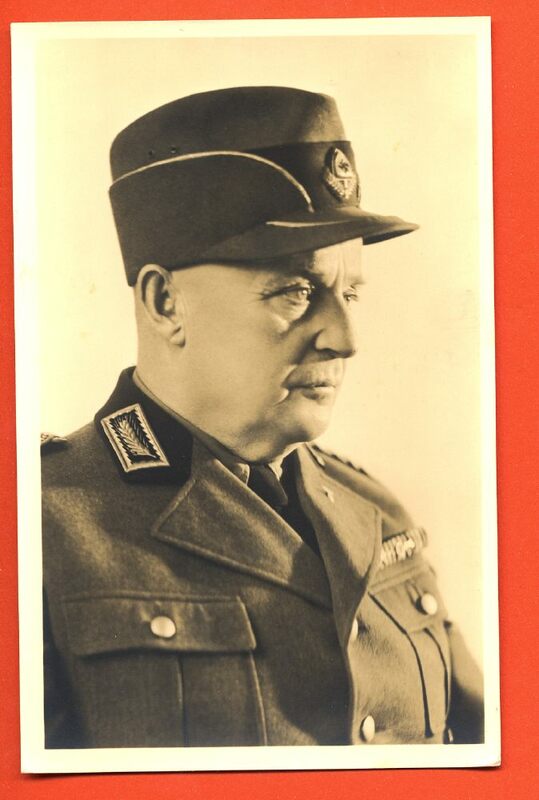 His boss had the Pour le Merite and there were no other "field grade" officers in IV as of 1938. 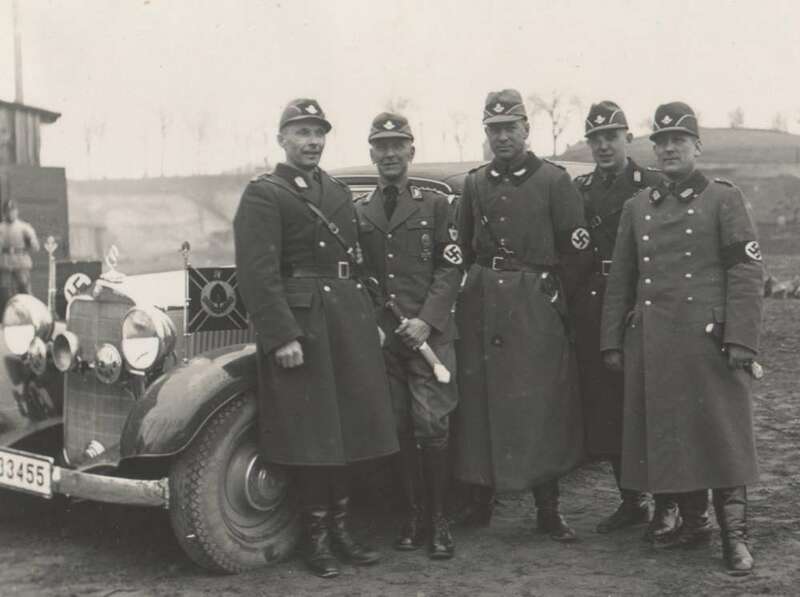 Notice in the group photo with Mercedes staff car he's weirdly reversed the sports badge over his Iron Cross.